I'm still working on gathering photos and collecting my thoughts regarding my recent vacation. I'm sorry it's taking so long! I could just throw a bunch of pictures at you but I'd like it to be more thorough. In the meantime, I thought I'd share how I'm slowly transitioning to a Fall wardrobe. It's been really hot here this entire month, but that hasn't stopped me from pulling out the jeans I bought during the Nordstrom anniversary sale. I'd been dying to finally wear them! They fit like a glove, especially in the waist. The hidden band inside them is the key; they lay perfectly flat against your midsection creating the appearance of a totally flat tummy. Plus, they are incredibly soft and comfortable. If anyone is in need of a new denim brand to try that's still affordable, go for Wit & Wisdom. I have two pairs now and am looking into more as the weather begins to cool down. The perfect transitional outfit for me will always consist of a great pair of dark denim, a pretty top, and metallic accessories. Tops that tie in the front are still going strong in the trend department, and when I saw this striped version at a local boutique, I knew it would become a staple. During the Summer, my style is more flowy and slightly bohemian, but come Fall, I go for a more classic tailored look. I'm actually pretty happy with my Fall additions from last year. I'll continue to carry my Sezane shoulder bag, longline cardigans, and ballerina flats. 1. Marigold everything: It's such an uplifting shade! I love it with a matte red lip. 2. Cap toe slingbacks: Chanel-inspired (or maybe the real thing) but they are so polished. 3. Hunter green bags: I've been dying for a rich jewel toned bag, and I've settled on green. 4. Check blazers: Versatile and chic, a check or plaid blazer is the perfect topper. 5. And yes, even sock boots have my attention this season! A little late to this but that's okay. Shop my picks below! See anything you like? What's on your radar this Fall? First, love this outfit! I've heard great things about Wit & Wisdom jeans so they're on my radar for sure. I love the tie front top trend - it's cute and convenient. 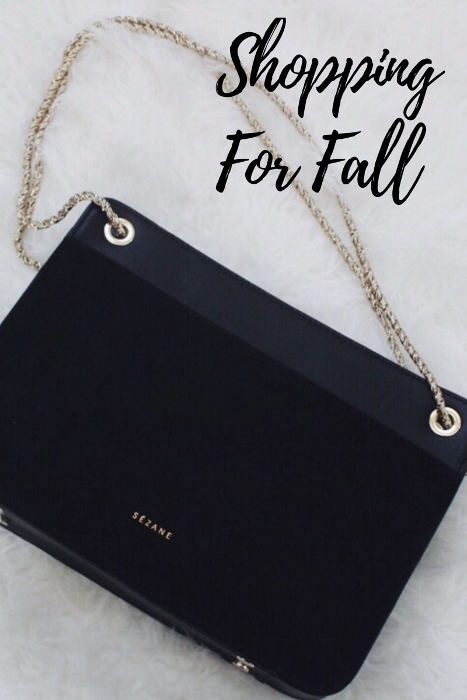 And loving your picks for fall trends! I love the cap toe shoes and do think I want to add a pair to my closet this year. Great post, Noelle! The longer you take to get your vacation photos together, the better it is for you, because then you can savor it longer. Oooh you look so cute and it's been so hot here as well. Thank you for putting these jeans on my radar, I need a new basic black pair. 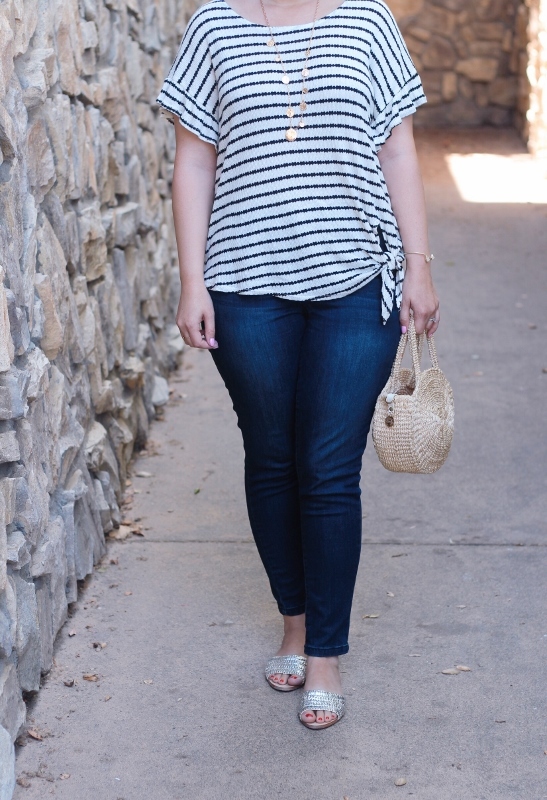 Love the tie top and those jeans sound great! This is really beautiful suggestions. I appreciated your clothing ideas for women's fashion. I am definitely going to share your blog with my friends.